Step into the shoes of Erica Dean as she investigates crime scenes in New York City. It's a man hunt for a vigilante on a killing spree through 16 locations containing over a thousand hidden objects. 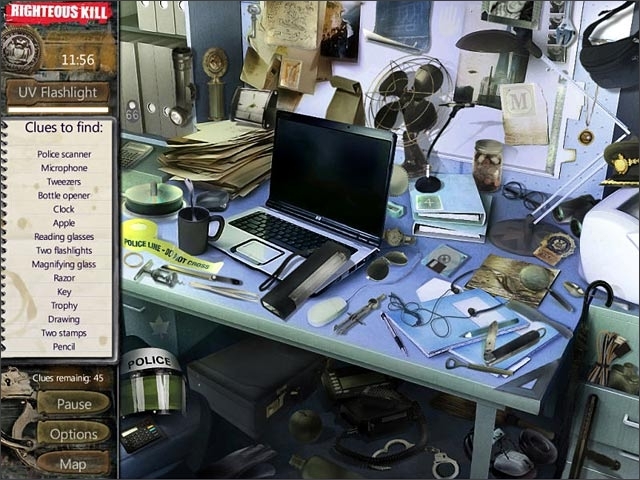 With the help of Sergeant Vasquez, Erica will use clues she collects in a number of detective-themed mini games. 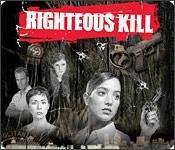 Inspired by the motion picture film, Righteous Kill features clips from the movie and 15 animated levels.